Reminiscent of the American craftsman era with understated style and simplicity, the modern craftsman student desk by home styles marries a traditional distressed oak finish on poplar solids with oak veneers and new age brown metal accents. 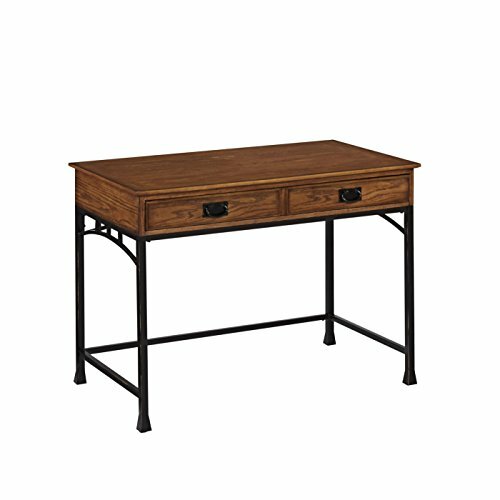 The modern craftsman student desk is equipped with one drop-down front drawer that have full-extension side metal guides that can be used as a keyboard tray. The only assembly is attaching the legs and stretchers. Finished on all sides. Finish and measurements may vary slightly. Assembly required. Size: 42w 24d 31.25h.